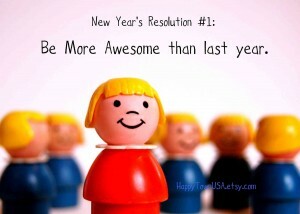 It’s January, how are your resolutions doing? How are those New Years resolutions hanging in there? Did you make any? I usually take the entire month of January to think about them, since it’s my birthday at the end of the month it only seems fair to see the whole month as a starting block for the new year right? Last year I resolved to try and accept myself more. In my 52nd year I let my hair do it’s own thing for the first time since I was in my 30′s, it decided to be grey and I actually like it. My health got some more attention and my body decided to lose 70 lbs this past year. I like that too My mind deserved some attention too, and I’m much less stressed and busy thanks to giving myself permission to say NO to things I don’t want to do and taking time for me on a regular basis. As far as It’s Time this past year it grew a bonafide shoe department! How cool is that? And the building demanded a slow but sure upgrading. We are going back to the more industrial, “age appropriate for our building” look. Our customer base has grown and we’ve made a lot of new friends and fans. Our sales reps for the fashion lines we carry tell us all the time that they cannot believe the fashion forward styles and items we sell in Neepawa and area. We are so proud of you ladies, our customers! The legging/skinny jean and boots trend blew us away, never had we imagined how popular our boots would be. We are so fortunate to have a store in this area and have customers that are so hip and trendy. So as for this years resolutions for It’s Time; how about more footwear yet? A couple of new trendy lines and finish the upgrades to the store? For now as a thank you and as a kick off to one heck of a new year how about an awesome sale? I’ll be 52 soon, so 52% off all remaining winter fashions! Let’s just do it! Happy New Year beautiful friends, Thank you so much for a great year, and may 2014 be even better!